Work is progressing on the rewrite – replacing all the citations from copyrighted translations with older translations which are no longer subject to copyrights. I am also taking the opportunity to clarify certain sections, add footnotes containing material I either didn’t know how to work in previously or found during later research. I am currently finishing Chapter IV, so an end of summer time frame for completion seems reasonable. I will be in France on business from 21 -30 June, but should be hard at it again starting in July. …he also subdued Judaea, and made a prisoner of Aristobulus the king. Some cities he built up, others he set free, chastising their tyrants. Thus Scipio took Carthage; and he sent to the senate the following message: “Carthage is taken. What are our orders now?” When these words had been read, they took counsel as to what should be done. Cato expressed the opinion that they ought to raze the city and blot out the Carthaginians, whereas Scipio Nasica still advised sparing the Carthaginians. 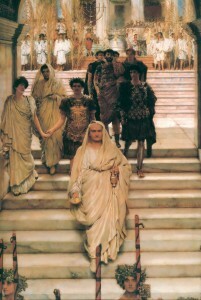 And thereupon the senate became involved in a great dispute and contention, until some one declared that for the Romans’ own sake, if for no other reason, it must be considered necessary to spare them. With this nation for antagonists they would be sure to practise valour instead of turning aside to pleasures and luxury; whereas, if those who were able to compel them to practise warlike pursuits should be removed from the scene, they might deteriorate from want of practice, through a lack of worthy competitors. As a result of the discussion all became unanimous in favour of destroying Carthage, since they felt sure that its inhabitants would never remain entirely at peace. The whole city was therefore utterly blotted out of existence, and it was decreed that for any person to settle upon its site should be an accursed act. The majority of the men captured were thrown into prison and there perished, and some few were sold. But the very foremost men together with the hostages and Hasdrubal and Bithias spent their lives in different parts of Italy in honourable confinement. Scipio secured both glory and honour and was called Africanus, not after his grandfather, but because of his own achievements. …Didius, with the concurrence of the ten legates who were still present, resolved to destroy them. Accordingly, he told their principal men that he would allot the land of Colenda to them because they were poor. Finding them very much pleased with this offer, he told them to communicate it to their people, and to come with their wives and children to the parceling out of the land. When they had done so he ordered his soldiers to vacate their camp, and these people, whom he wanted to ensnare, to go inside, so that he might make a list of their names, the men on one register and the women and children on another, in order to know how much land should be set apart for them. When they had gone inside the ditch and palisade, Didius surrounded them with his army and killed them all, and for this he was honored with a triumph. A large number of his men fled from the battle-field to the mountains and Crassus followed them thither. They divided themselves in four parts, and continued to fight until they all perished except 6000, who were captured and crucified along the whole road from Capua to Rome. Obviously the morals of different cultures do not always agree. 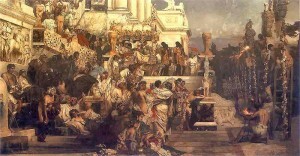 And the legality of Judaism under Roman law did not guarantee its compatibility with Roman society. The Hebrew and Christian monotheistic belief systems were hardly in keeping with a polytheistic world-view which believed that gladiatorial contests, frequently to the death, were a method of keeping the citizenry strong and accustomed to violent death[ii]. The Romans, for their part, thought that the exclusivity of monotheistic dogma hindered its adherents’ loyalty to the empire[iii]. Greco-Roman culture even considered circumcision to be a barbaric practice, a ritual mutilation requiring surgical reversal[iv]. Due to these underlying incompatibilities, the Roman records from this period indicate that various regimes fluctuated in practice between disapproval of Judeo-Christian beliefs to armed reprisal against the practitioners of Judaism and Christianity. Let us examine the policies of first century Rome toward the Christians and the Jews. As the Jews flocked to Rome in great numbers and were converting many of the natives to their ways, he [Tiberius] banished most of them. There was a debate too about expelling the Egyptian and Jewish worship, and a resolution of the Senate was passed that four thousand of the freedmen class who were infected with those superstitions and were of military age should be transported to the island of Sardinia, to quell the brigandage of the place, a cheap sacrifice should they die from the pestilential climate. The rest were to quit Italy, unless before a certain day they repudiated their impious rites. He [Tiberius] abolished foreign cults, especially the Egyptian and the Jewish rites, compelling all who were addicted to such superstitions to burn their religious vestments and all their paraphernalia. Those of the Jews who were of military age he assigned to provinces of less healthy climate, ostensibly to serve in the army; the others of that same race or of similar beliefs he banished from the city, on pain of slavery for life if they did not obey. 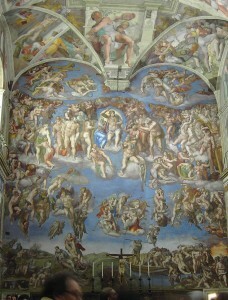 He banished the astrologers as well, but pardoned such as begged for indulgence and promised to give up their art. This Roman policy was adopted in 19 AD, nine years before Jesus’ visit to Nain. The distinguished Roman Senator Tacitus [56-117 AD] echoes the prevailing Roman sentiment of his day when he calls the deaths of four thousand Jewish men “a cheap sacrifice.” In the same way, he judges the practice of Judaism “impious” by Roman standards. 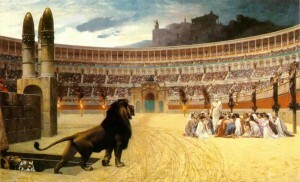 Tiberius’ edict was the official Roman position throughout Jesus’ earthly ministry. Around the time that Jesus endured a Roman crucifixion for his beliefs, Tiberius rescinded the policy[vi], (31 or 32 AD.) Tacitus reports that Tiberius was 78 years old when he was smothered to death by Naevius Sutorius Macro, Prefect of the Praetorian Guard, on the 15th of March, 37 AD[vii]… (This was an example of Roman policy towards Jews during the time of Christ’s earthly ministry. More examples of Roman policies towards Christians and Jews are included in Chapter III). I haven’t made many posts lately, for I am in the process of rewriting the How to Live Forever manuscript in a fashion that removes copyrighted materials. I have already identified each of the citations in question; and when they have been replaced, either by public domain translations or through having the passage in question re-translated specifically for this project, I intend to self-publish and advertise online. I would like to have this completed by end of summer, publishing the book by year’s end. Titus is said, after calling a council, to have first deliberated whether he should destroy the temple, a structure of such extraordinary work. For it seemed good to some that a sacred edifice, distinguished above all human achievements, ought not to be destroyed, inasmuch as, if preserved, it would furnish an evidence of Roman moderation, but, if destroyed, would serve for a perpetual proof of Roman cruelty. 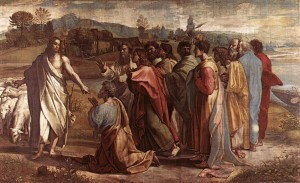 But on the opposite side, others and Titus himself thought that the temple ought specially to be overthrown, in order that the religion of the Jews and of the Christians might more thoroughly be subverted; for that these religions, although contrary to each other, had nevertheless proceeded from the same authors; that the Christians had sprung up from among the Jews; and that, if the root were extirpated, the offshoot would speedily perish. Severus drew heavily from non-Christian historians (Chron. I.1.4), including Josephus and Tacitus (comp. Chron. II.28.2 to Annals xv.37.). Since Josephus’ account portrayed Titus as sympathetic to Judaism and opposed to the destruction of the Jewish Temple (Bell. Iud. vi.4.3), a case has been made that Severus’ divergence indicates that he was quoting a passage from the lost books of Tacitus’ Histories. My copy of the Loeb edition of Tacitus (ed. C.H. Moore, vol. III, pp. 220-221) includes both Chron. II.30.3 and II.30.6 as fragments of Tacitus’ Histories, Book V with no disclaimer, treating the matter as if settled. Whether this is actually the case, it does seem unlikely that Severus would contradict Josephus (whose account he appeared to be following, comp. II.30.5 to Bell. Iud. vi.9.3) on this point unless he had an alternative source. As an interesting aside, Titus might be expected to know more of the origins of Christianity than the average Roman through his mistress Berenice, who had personally heard the Christian message from the apostle Paul in the late 50’s AD (Acts 25:13 – 26:32). For complete discussion on the merits of Tacitean authorship for this passage, see H. W. Montefiore, ‘Sulpicius Severus and Titus’ Council of War’, Historia 11 (1962), pp. 156ff. 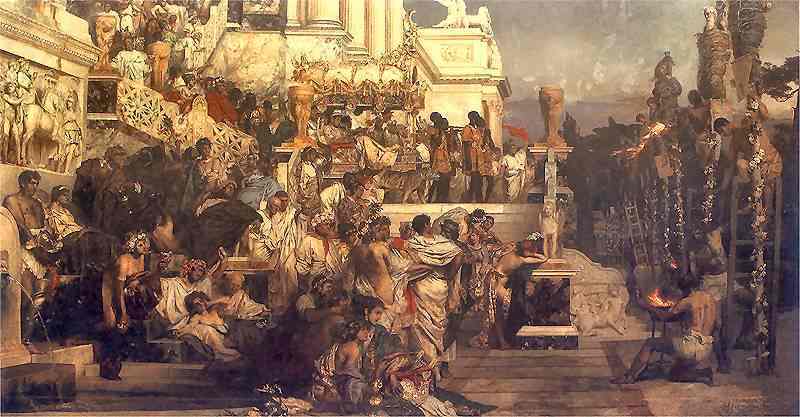 In ancient Rome, refusal to worship the state sponsored gods was considered ‘atheism’. The crime of atheism was punishable by death. Certain religions were granted various degrees of tolerance at divers times. But the underlying Roman attitude towards such ‘superstitions’ was one of disdain. And one who practiced ‘impious’ rites was considered less than a true Roman. In western Christian society we are accustomed to the concepts of human rights and guaranteed liberties. This modern bias makes it difficult for us to relate to cultures which not only did not protect freedom of speech or religion, but saw nonconformity in these areas as undesirable – disloyalty to the established order, as it were. For this reason, we tend to downplay the idea that the Romans could have really executed ‘vast multitudes’ of early Christians merely for an observance of custom. Progressive historians such as Gibbon have added to the notion that the tales of martyrdom surely must have been overstated. How could ‘civilized’ Romans, responsible for much of our law and cultural institutions, have really massacred tens or hundreds of thousands of innocents, over what amounts to a difference of opinion? Rather than debate the inherent capacity of man for good or evil, regaling in the legacies of Stalin, Hitler, Mao, or those up and coming tyrants, Ahmadinejad for instance, I thought I would let the Romans tell the story in their own words. The Christian testimony to these atrocities is far more vivid and comprehensive of course, but how much more compelling to let the culprit, rather than the victim, speak of the crime? 1After this, Paul left Athens and went to Corinth. Since the Jews constantly made disturbances at the instigation of Chrestus, he expelled them from Rome. Such indeed were the precautions of human wisdom. The next thing was to seek means of propitiating the gods, and recourse was had to the Sibylline books, by the direction of which prayers were offered to Vulcanus, Ceres, and Proserpina. Juno, too, was entreated by the matrons, first, in the Capitol, then on the nearest part of the coast, whence water was procured to sprinkle the fane and image of the goddess. And there were sacred banquets and nightly vigils celebrated by married women. But all human efforts, all the lavish gifts of the emperor, and the propitiations of the gods, did not banish the sinister belief that the conflagration was the result of an order. Consequently, to get rid of the report, Nero fastened the guilt and inflicted the most exquisite tortures on a class hated for their abominations, called Christians by the populace. 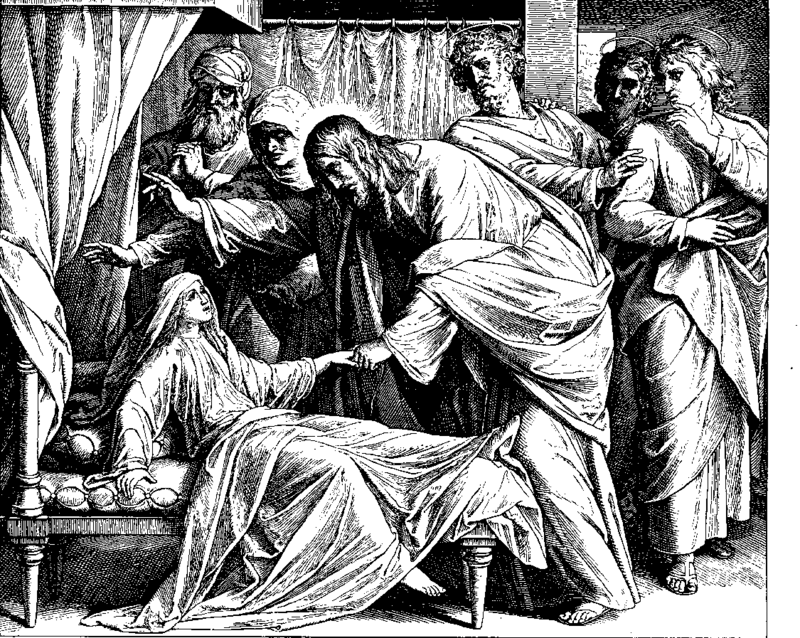 Christus, from whom the name had its origin, suffered the extreme penalty during the reign of Tiberius at the hands of one of our procurators, Pontius Pilatus, and a most mischievous superstition, thus checked for the moment, again broke out not only in Judaea, the first source of the evil, but even in Rome, where all things hideous and shameful from every part of the world find their centre and become popular. Accordingly, an arrest was first made of all who pleaded guilty; then, upon their information, an immense multitude was convicted, not so much of the crime of firing the city, as of hatred against mankind. Mockery of every sort was added to their deaths. Covered with the skins of beasts, they were torn by dogs and perished, or were nailed to crosses, or were doomed to the flames and burnt, to serve as a nightly illumination, when daylight had expired. 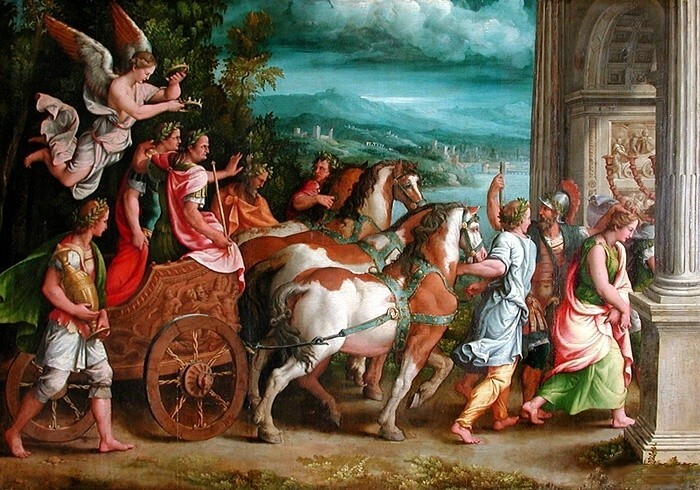 Nero offered his gardens for the spectacle, and was exhibiting a show in the circus, while he mingled with the people in the dress of a charioteer or stood aloft on a car. Hence, even for criminals who deserved extreme and exemplary punishment, there arose a feeling of compassion; for it was not, as it seemed, for the public good, but to glut one man’s cruelty, that they were being destroyed. 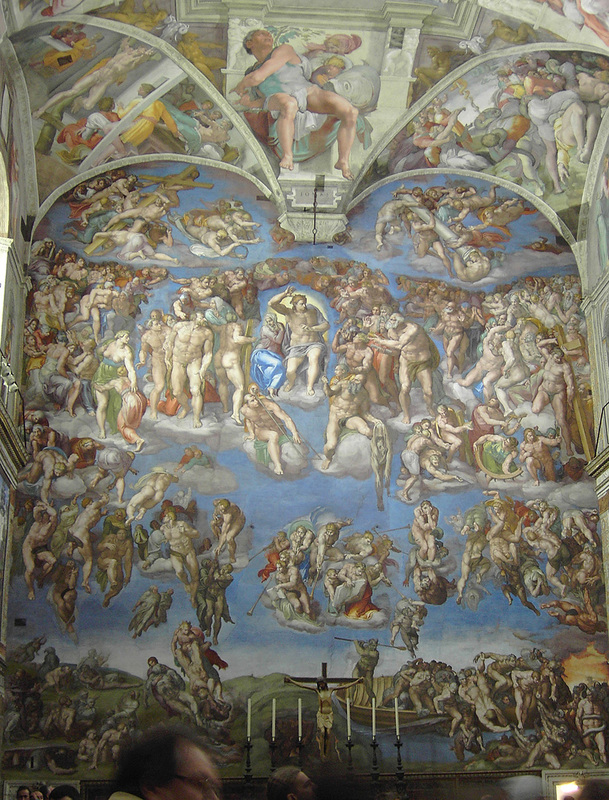 … Punishment was inflicted on the Christians, a class of men given to a new and mischievous superstition. After Nero was overthrown in 68 AD, a period of civil unrest followed that claimed the lives of three of his successors within eighteen months[i]. Then in December of 69 AD, Vespasian’s general Antonius Primus defeated Aulus Vitellius’ forces for possession of Rome[ii], thus fulfilling the prophecy of Joseph and establishing the Flavian dynasty. 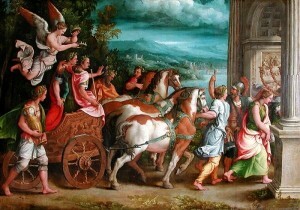 Joseph was given his freedom, an apartment in Vespasian’s own house in Rome, an Imperial pension, and Roman citizenship in recognition of his support[iii]. Adopting his benefactor’s family name, Flavius Josephus proceeded under Vespasian, Titus, and Domitian to write the various histories which have provided us so much source material. Vespasian, as Emperor, immediately placed his son Titus in command of the War in Judea. When Jerusalem was razed in 70 AD, Vespasian enacted the Fiscus Judaicus, a tax upon Jews which went to support the worship of Jupiter Capitolinus, as punishment to the Jewish People for their rebellion[iv]. Nero’s policy mandating death for those who practiced Christianity was apparently still in effect throughout the reign of Vespasian. There is no evidence that Nero’s anti-Christian decrees were revoked, or that Christianity was ever recognized as an approved religion. Indeed, it is hard to imagine that Vespasian could rescind the anti-Christian policies in the immediate aftermath of the Judean War, when Roman sentiment against all things Judean still ran high[v]. Titus succeeded upon Vespasian’s death in 79 AD. He apparently trusted his father’s policies concerning Christians and Jews throughout his two years of supremacy, as there is no record of any deviation in this regard. And the same year Domitian slew, along with many others, Flavius Clemens the consul, although he was a cousin and had to wife Flavia Domitilla, who was also a relative of the emperor’s. The charge brought against them both was that of atheism, a charge on which many others who drifted into Jewish ways were condemned. Some of these were put to death, and the rest were at least deprived of their property. Domitilla was merely banished to Pandateria. Domitian’s agents collected the tax on Jews with a peculiar lack of mercy; and took proceedings not only against those who kept their Jewish origins a secret in order to avoid the tax, but against those who lived as Jews without professing Judaism. As a boy, I remember once attending a crowded Court where the imperial agent had a ninety-year-old man inspected to establish whether or not he had been circumcised. Nerva also released all who were on trial for maiestas and restored the exiles; moreover, he put to death all the slaves and the freedmen who had conspired against their masters and allowed that class of persons to lodge no complaint whatever against their masters; and no persons were permitted to accuse anybody of maiestas or of adopting the Jewish mode of life. Notice that Nerva did not repeal the Fiscus Judaicus, which was still in effect when Tertullian and Origen wrote in the early Third Century[vii]. Neither did he grant legal status to Christianity. Nor did he condone proselytization by Christians or Jews. He merely ended the prosecution of these “crimes” by preventing accusations. Whether he intended an eventual long term policy change we will never know. Due to his age, Nerva’s reign was only to last one year, four months, and nine days[viii]. Shortly after adopting Marcus Ulpius Traianus (Trajan) as his heir, Nerva passed away. By the time of Trajan (98-117 AD) it was accepted policy that practicing Christians were to be executed, and Jews were to be taxed. There is no reason to infer that some variant of these basic policies were not in effect from the times of Nero and Vespasian respectively until the time of Trajan. The only question is how vigorously offenders were to be sought out. Soon accusations spread, as usually happens, because of the proceedings going on, and several incidents occurred. An anonymous document was published containing the names of many persons. Those who denied that they were or had been Christians, when they invoked the gods in words dictated by me, offered prayer with incense and wine to your image, which I had ordered to be brought for this purpose together with statues of the gods, and moreover cursed Christ—none of which those who are really Christians, it is said, can be forced to do—these I thought should be discharged. Others named by the informer declared that they were Christians, but then denied it, asserting that they had been but had ceased to be, some three years before, others many years, some as much as twenty-five years. They all worshipped your image and the statues of the gods, and cursed Christ. 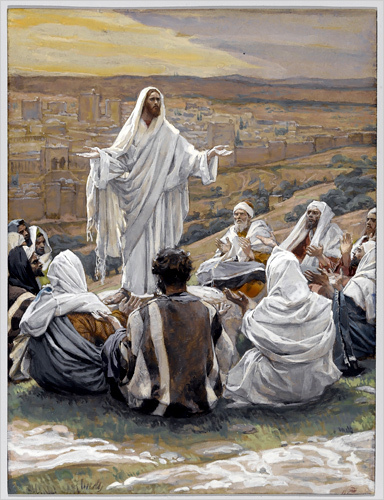 They asserted, however, that the sum and substance of their fault or error had been that they were accustomed to meet on a fixed day before dawn and sing responsively a hymn to Christ as to a god, and to bind themselves by oath, not to some crime, but not to commit fraud, theft, or adultery, not falsify their trust, nor to refuse to return a trust when called upon to do so. When this was over, it was their custom to depart and to assemble again to partake of food—but ordinary and innocent food. Even this, they affirmed, they had ceased to do after my edict by which, in accordance with your instructions, I had forbidden political associations. Accordingly, I judged it all the more necessary to find out what the truth was by torturing two female slaves who were called deaconesses. But I discovered nothing else but depraved, excessive superstition. You observed proper procedure, my dear Pliny, in sifting the cases of those who had been denounced to you as Christians. For it is not possible to lay down any general rule to serve as a kind of fixed standard. 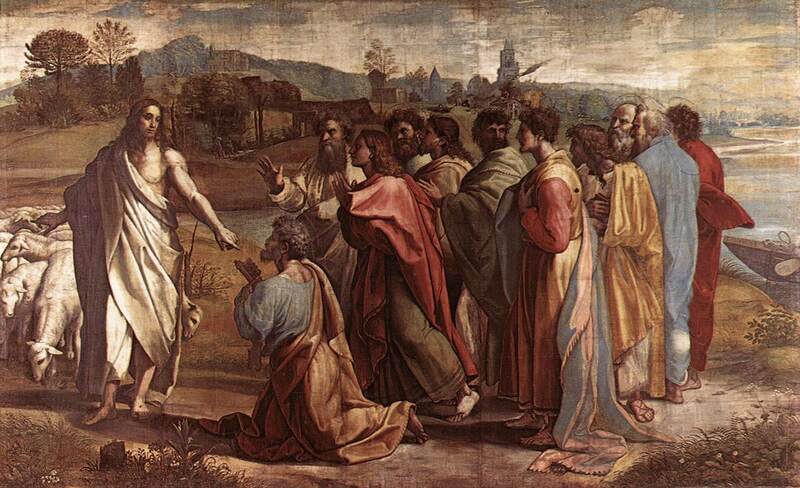 They are not to be sought out; if they are denounced and proved guilty, they are to be punished, with this reservation, that whoever denies that he is a Christian and really proves it–that is, by worshiping our gods–even though he was under suspicion in the past, shall obtain pardon through repentance. But anonymously posted accusations ought to have no place in any prosecution. For this is both a dangerous kind of precedent and out of keeping with the spirit of our age. And then, too, you do not in that case deal with us in the ordinary way of judicial proceedings against offenders; for, in the case of others denying, you apply the torture to make them confess—Christians alone you torture, to make them deny; whereas, if we were guilty of any crime, we should be sure to deny it, and you with your tortures would force us to confession. I have received the letter addressed to me by your predecessor Serenius Granianus, a most illustrious man; and this communication I am unwilling to pass over in silence, lest innocent persons be disturbed, and occasion be given to the informers for practising villany. Accordingly, if the inhabitants of your province will so far sustain this petition of theirs as to accuse the Christians in some court of law, I do not prohibit them from doing so. But I will not suffer them to make use of mere entreaties and outcries. For it is far more just, if any one desires to make an accusation, that you give judgment upon it. If, therefore, any one makes the accusation, and furnishes proof that the said men do anything contrary to the laws, you shall adjudge punishments in proportion to the offences. And this, by Hercules, you shall give special heed to, that if any man shall, through mere calumny, bring an accusation against any of these persons, you shall award to him more severe punishments in proportion to his wickedness.” – Attached to Justin’s Apology to Antoninus Pius (written around 140 AD). 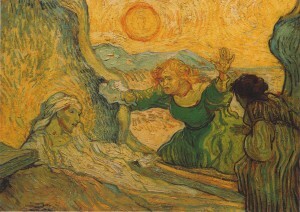 What a soul that is which is ready, if at any moment it must be separated from the body, and ready either to be extinguished or dispersed or continue to exist; but so that this readiness comes from a man’s own judgement, not from mere obstinacy, as with the Christians, but considerately and with dignity and in a way to persuade another, without tragic show. You see, these misguided creatures start with the general conviction that they are immortal for all time, which explains the contempt of death and voluntary self-devotion which are so common among them; and then it was impressed on them by their original lawgiver that they are all brothers, from the moment that they are converted, and deny the gods of Greece, and worship the crucified sage, and live after his laws. All this they take quite on trust, with the result that they despise all worldly goods alike, regarding them merely as common property. In that case, you say, why do you complain of our persecutions? You ought rather to be grateful to us for giving you the sufferings you want. Well, it is quite true that it is our desire to suffer, but it is in the way that the soldier longs for war. No one indeed suffers willingly, since suffering necessarily implies fear and danger. Yet the man who objected to the conflict, both fights with all his strength, and when victorious, he rejoices in the battle, because he reaps from it glory and spoil. It is our battle to be summoned to your tribunals that there, under fear of execution, we may battle for the truth. But the day is won when the object of the struggle is gained. This victory of ours gives us the glory of pleasing God, and the spoil of life eternal. But we are overcome. Yes, when we have obtained our wishes. Therefore we conquer in dying; we go forth victorious at the very time we are subdued. Call us, if you like, Sarmenticii and Semaxii, because, bound to a half-axle stake, we are burned in a circle-heap of fagots. This is the attitude in which we conquer, it is our victory-robe, it is for us a sort of triumphal car. Naturally enough, therefore, we do not please the vanquished; on account of this, indeed, we are counted a desperate, reckless race. But the very desperation and recklessness you object to in us, among yourselves lift high the standard of virtue in the cause of glory and of fame… But go zealously on, good presidents, you will stand higher with the people if you sacrifice the Christians at their wish, kill us, torture us, condemn us, grind us to dust; your injustice is the proof that we are innocent. Therefore God suffers that we thus suffer; for but very lately, in condemning a Christian woman to the leno rather than to the leo you made confession that a taint on our purity is considered among us something more terrible than any punishment and any death. Nor does your cruelty, however exquisite, avail you; it is rather a temptation to us. The oftener we are mown down by you, the more in number we grow; the blood of Christians is seed. Many of your writers exhort to the courageous bearing of pain and death, as Cicero in the Tusculans, as Seneca in his Chances, as Diogenes, Pyrrhus, Callinicus; and yet their words do not find so many disciples as Christians do, teachers not by words, but by their deeds. That very obstinacy you rail against is the preceptress. For who that contemplates it, is not excited to inquire what is at the bottom of it? who, after inquiry, does not embrace our doctrines? and when he has embraced them, desires not to suffer that he may become partaker of the fulness of God’s grace, that he may obtain from God complete forgiveness, by giving in exchange his blood? For that secures the remission of all offences. On this account it is that we return thanks on the very spot for your sentences. 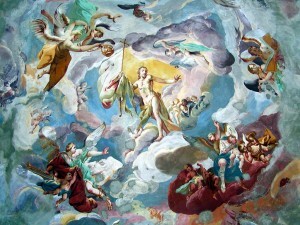 As the divine and human are ever opposed to each other, when we are condemned by you, we are acquitted by the Highest. Lightfoot argued that these two Flavia Domitilla’s, one the wife and one the niece of Flavius Clemons, are in fact the same person. He believed that she was the wife of Flavius Clemons and the niece of the Emperor Domitian. He also provides archeological evidence which indicates that Flavia Domitilla dedicated land for use as one of the earliest Roman Christian cemeteries. – (J.B. Lightfoot, The Apostolic Fathers, Part I, Volume 1, Chapter 2: Clement the Doctor.) Whether niece and aunt shared a family name, as was common, or whether Lightfoot’s mistaken identity occurred matters not to us. Domitian persecuted Christians in either case. I’m in something of a quandary, and I’m asking my readers if they can help. As you know, I am seeking publication for my manuscript, How to Live Forever. As far as I can tell, this is the first COMPREHENSIVE treatment of the Resurrection of Christ based upon historical data. 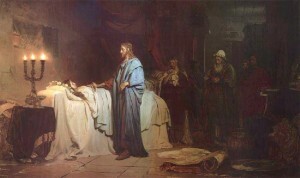 With all of the Discovery and History Channel specials undermining the evidence in favor of the Resurrection, with the conspicuous presence of such anti-Resurrection authors as Crossan, Ehrmann, and Pagel in modern literature, it certainly seems right that someone actually reveal the ancient record in it’s entirety. And that’s what How to Live Forever is about – letting the evidence determine the verdict. But I am in that classic dilemma: I have never before published in this field, so I have no resume. I have very few contacts among authors and publishers, and have cold contacted fifty-eight publishers thus far, without finding a place for the book. Due to the number of permissions for various citations and translations which will be required, self-publishing seems out of the question – and I would really like to reach a nation-wide audience from the beginning if at all possible. If you, my readers, find some merit in these various posts, (which I believe individually fail to capture the elegance of the completed argument, ) and if you have some connection to someone in the publishing business, then I would appreciate a referral. Lead them to the site, let them look at the material, and let’s see if we can’t get this thing published and clear up the record concerning the Resurrection.